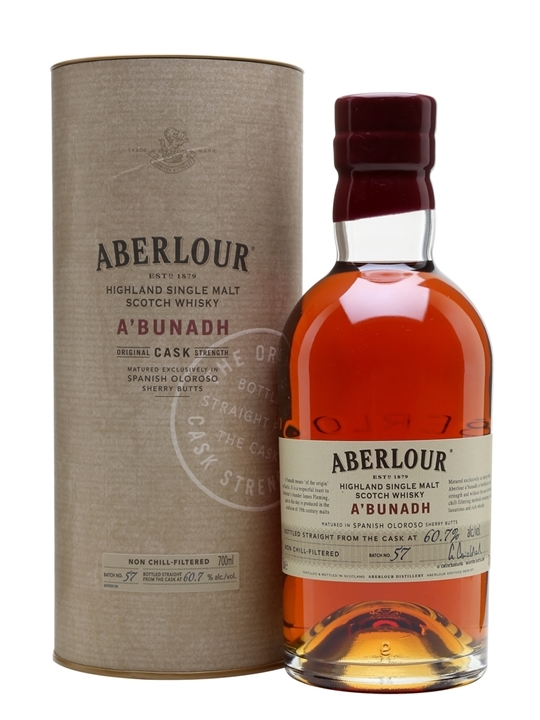 This is batch #57 from this iconic series from Aberlour! And a dram good one I may add! Chocolate and dark dried fruits in the smell. Don’t get your nose too close though! After a minute in the glass, plums starts to rush in. Leather, tobacco, dark dark dried fruits and fruity sweetness in the taste. Some more sugary sweetness comes forward in the finish. Still dates and raisins, but also some nuts emerges. Just like in the smell, a lot of plums appears as the temperature of the whisky raises a degree or two. 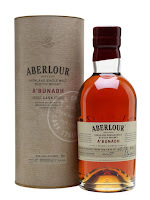 Yet again Aberlour did it with this A'bunadh! All the right flavours from the Sherry casks mixed with Aberlours new make profile. And the way that the plums appears all the way through is excellent. I will rate this 92/100 (23/23/23/23).